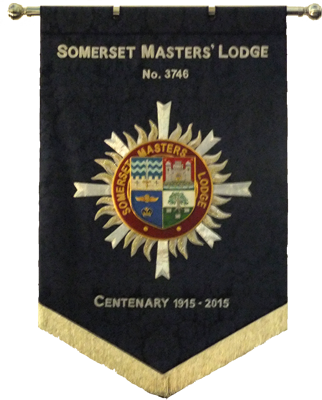 The aims and objectives of the Somerset Masters’ Lodge are to provide the opportunity for Masters in Office, Past Masters, Rulers of the Craft and other Orders to meet in an informal and relaxed atmosphere. Further to encourage interest in all aspects of Freemasonry and to promote discussion, debate and Masonic research. 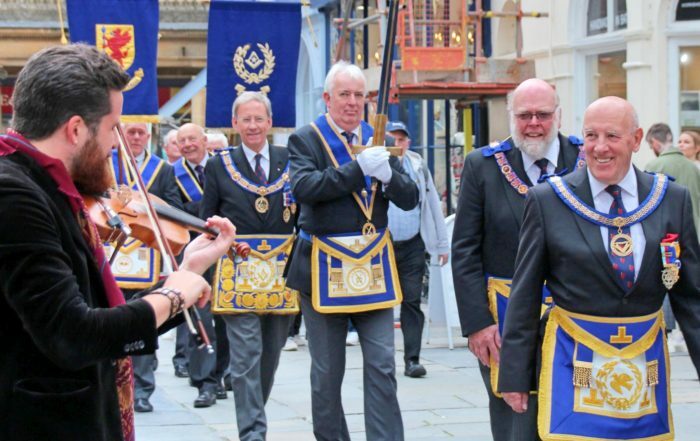 The Lodge is unique within the Province, as being primarily for Installed Masters and as such does not conduct the usual progressive ceremonies, with the exception of the annual Installation ceremony of the new Master and the Officers. The lodge has adopted the custom of appointing as Master, in alternate years, a member who has given significant service to the Lodge or the Province, with in the intervening year, a Ruler or Senior Officer of the Province. Another feature, since the inception of the Lodge in 1915, has been the publication annually of a volume of ‘Transactions’, which has papers on noteworthy masons as well as the history, antiquities and symbols of the Craft and other Orders. Regular meetings are currently held twice a year, in February and October. The Installation of the Master and investiture of officers takes place in February, when the Master also presents a Masonic paper on a topic of his choice. The October meeting includes elections for the forthcoming year, which are usually followed by a presentation by an invited speaker or by a visiting demonstration team. 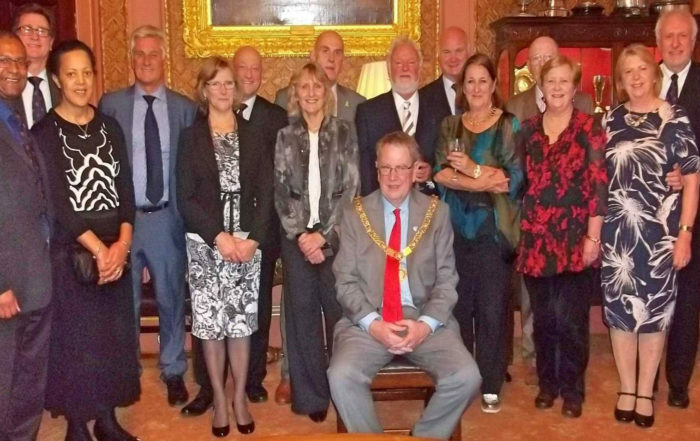 Recently there have been presentations from the Grand Secretary, the Assistant Grand Secretary, the Director of the Library and Museum of Freemasonry, Prestonian Lecturers and representatives of the four main Masonic Charities. Each year the Worshipful Master also arranges a summer outing to which all members, their families and guests are welcome. There are two types of membership. 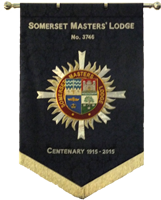 Full membership and membership of the ‘Correspondence Circle.’ Full membership is open to Masters and Past Masters who are or have been members of a Somerset Lodge but may also have been a Master elsewhere. 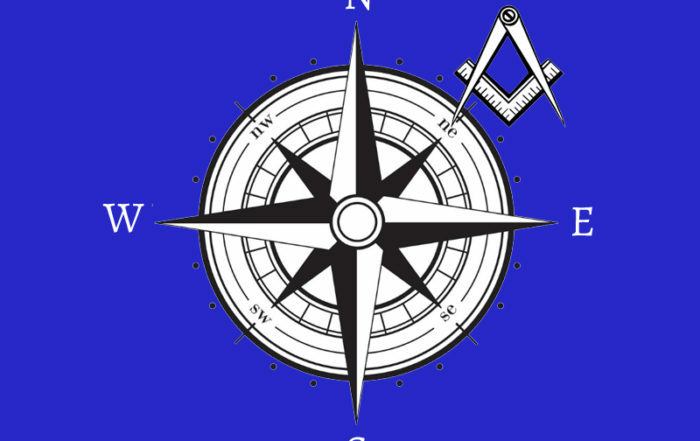 Membership of the Correspondence Circle is open to Master Masons of Lodges in Somerset and also of other Provinces that work under Constitutions recognised by the Grand Lodge of England. Correspondence Circle members may participate in all the activities enjoyed by full members and receive a copy of the Transactions but may not vote, hold office, propose new members or take part in the management of the Lodge. Any current member, or a Lodge Secretary or Worshipful Master may sponsor a member for the Correspondence Circle. When a ‘Circle’ member becomes a Master he will need to move to full membership by the usual joining member formalities.